Summer is nearly over, and I can tell fall is coming. The signs are all there. I’m going to miss summer. While I enjoy spring and summer, I also enjoy fall. I am not fond of winter since we get nor’easters that dump tons of snow on us. I like snow that looks pretty and doesn’t clog up the sidewalks and roads. I hate ice. But it’s coming and I must prepare for it. The air is getting cooler following August’s ripe heat here on the northeast coast of Massachusetts. The farmer’s markets are wrapping up for the season. I’ll know for sure when fall is over when Dairy Maid Ice Cream and Seaside Subs & Pizza close for the season. I like to get a kiddie-sized twist soft serve in a cup from Dairy Maid. Seaside Subs has the best pizza I’ve ever tasted. It is called the Surfside Six and it includes the following toppings: sea clams, basil, bacon, parmesan, mozzarella, all in a garlic sauce. This was my first garlic sauce pizza and I’m hooked. Goldenrod also signals the end of the summer season. I’m seeing it more often on the roadsides and in meadows now. 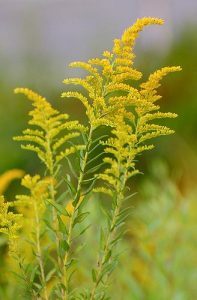 People are not allergic to goldenrod despite somewhat popular belief. 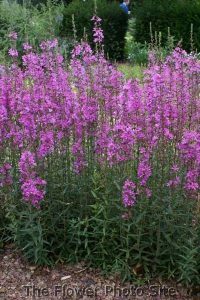 They are allergic to ragweed, which looks similar. Goldenrod gets a bad rap. Here is some goldenrod. 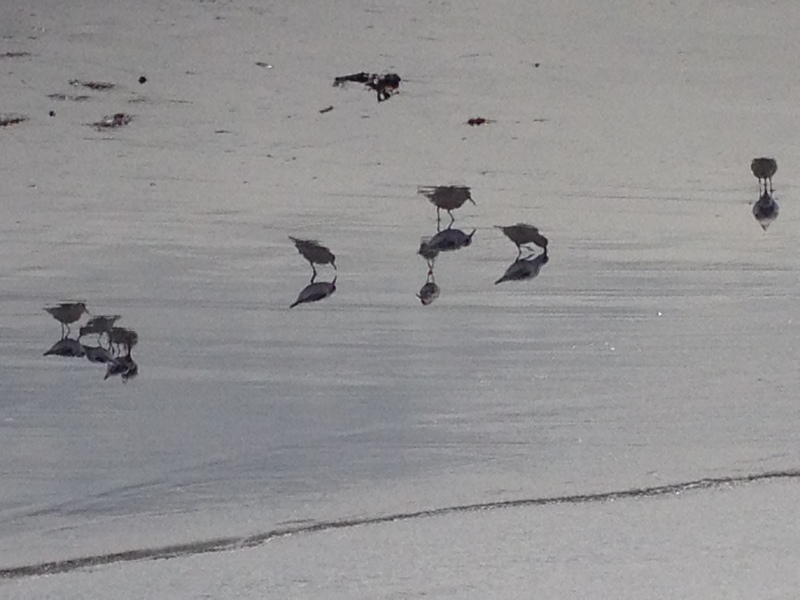 The last way I know fall is on its way and summer is winding down is when I see sandpipers on the beach. For some odd reason I don’t see them here during the summer. Only in the spring and fall. 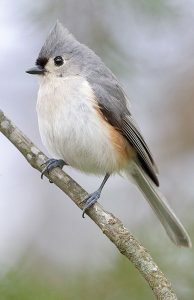 I thought they were year-round birds but I guess they aren’t. They’re adorable. They travel in flocks and they never sit still. I always see them at the water’s edge, pecking around for any morsels they can find. 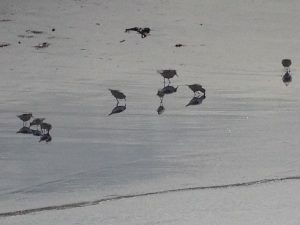 Her are some sandpipers at Good Harbor Beach, which isn’t far from my home. I’m sorry to see summer go, but fall brings pumpkins, apple cider, maple syrup and candy and my favorite holiday – Halloween. I will walk on the beach as long as I can before the temps freeze too much to go outside. Until then, I’m enjoying what’s left of summer. Your post makes me so nostalgic for New England, Elizabeth! Of course, since you write horror — autumn means that Halloween is coming! New England is gorgeous, Lisabet. I moved here from Maryland and love it up here.